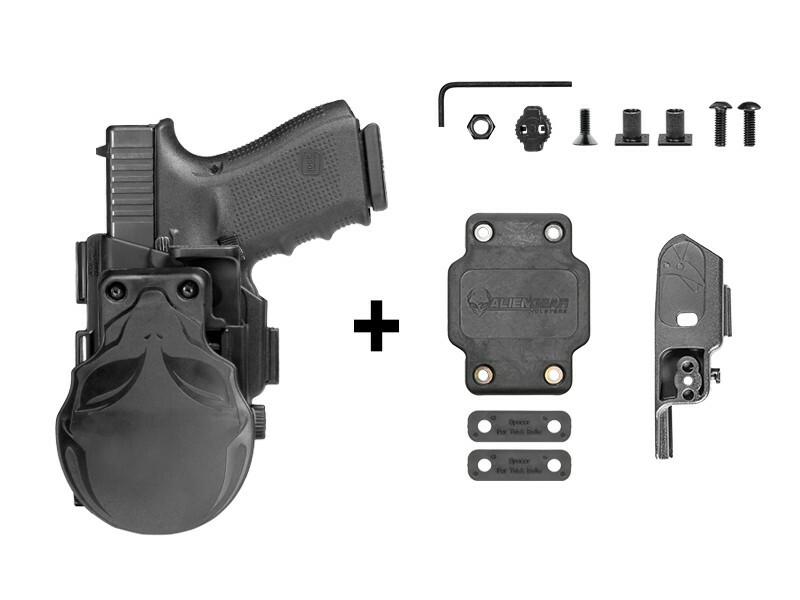 You won't find a stronger, more customizable or more versatile OWB rig than the ShapeShift Glock 32 paddle holster by Alien Gear. 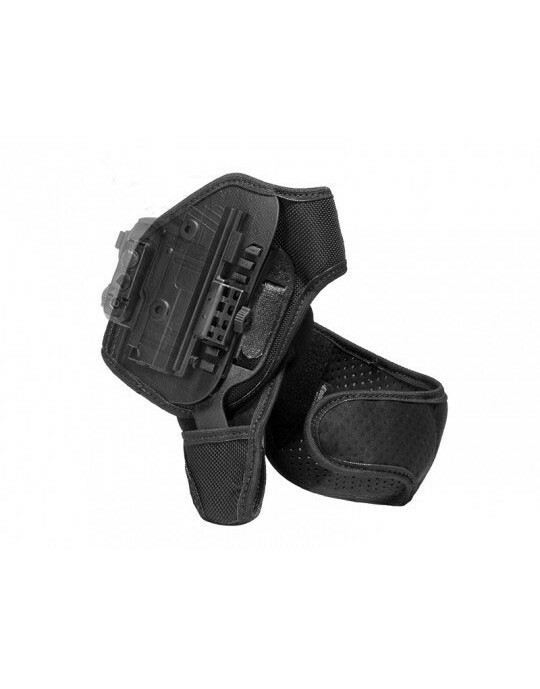 No other holster design is able to offer the same versatile features or advanced design in the galaxy. 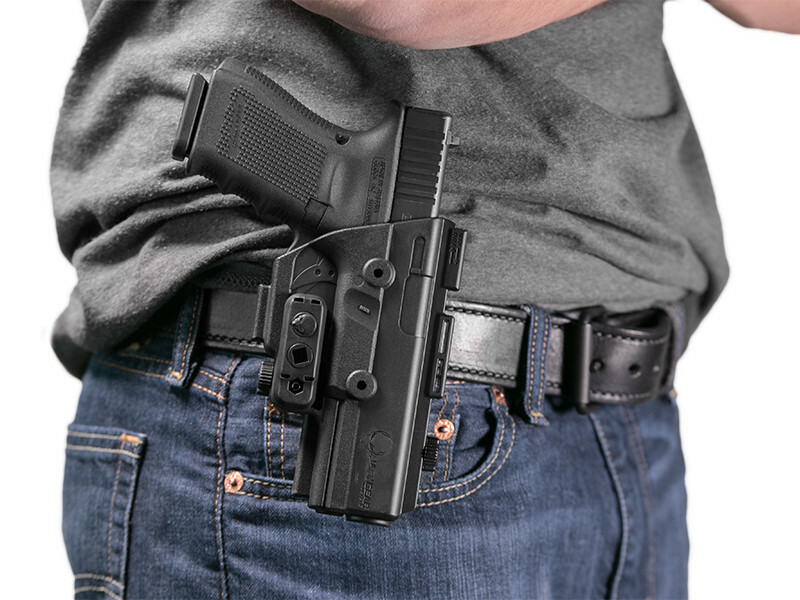 Most other Glock 32 OWB holsters rely on old or bad ideas. Flimsy paddles, anonymous holster fitment and bad retention features all geared around the same idea: a paddle holster is convenient first and functional second. Does it have to be that way though? We don't think so, which is why the ShapeShift was designed. Start with the paddle attachment. 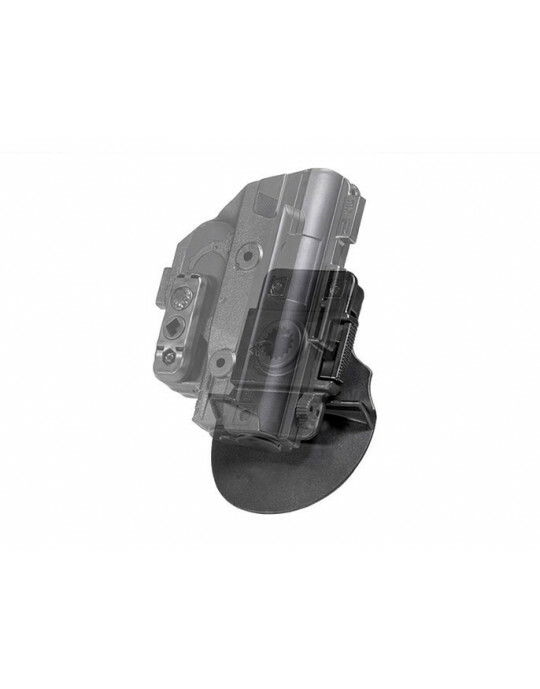 Instead of being a mere flap of leather or cheap plastic paddle, we use a spline attachment made from our ultra-durable injection molded polymer. It's unbreakable under normal use, and also fully adjustable for cant - set it to carry exactly how you want. It attaches via the locking gate, which keeps it from moving while you do. 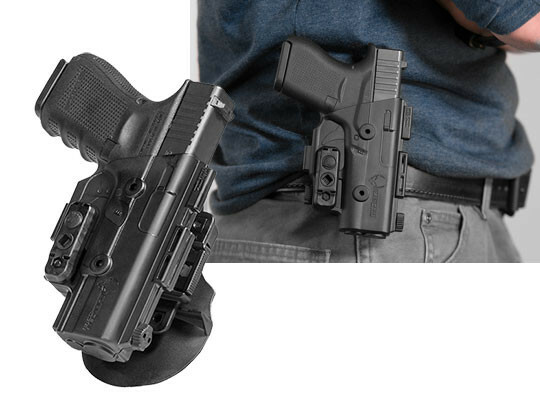 This holster stays put like none other. 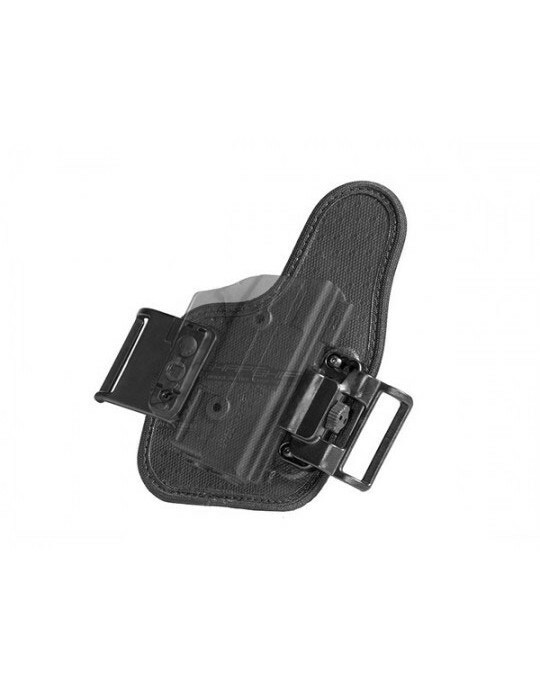 The holster consists of two shells set together with our proprietary friction-locking rail and twist lock system. Once assembled, it cannot come apart unless you take it apart. No other paddle holster is as durable. 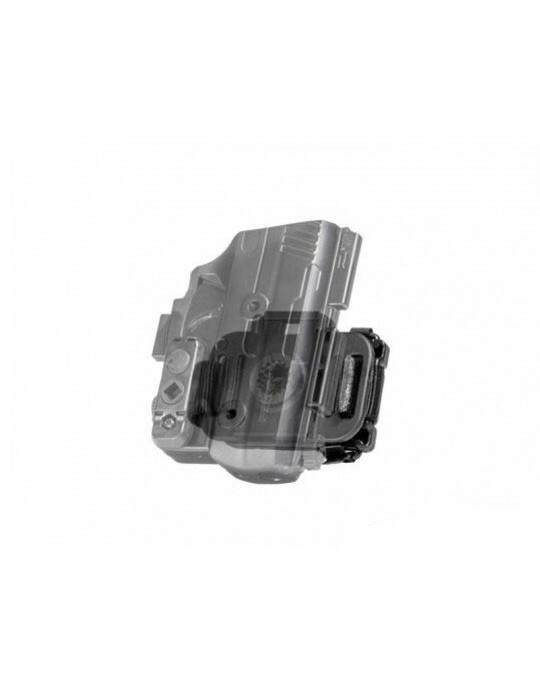 Since it's also injection-molded for your precise make and model pistol, it fits perfectly right out of the box. Retention is customizable as well. You can install the included passive retention bar and dial in your exact preferred setting. Give it just a little resistance for security but an easy draw, or clamp it down tight for extra security. 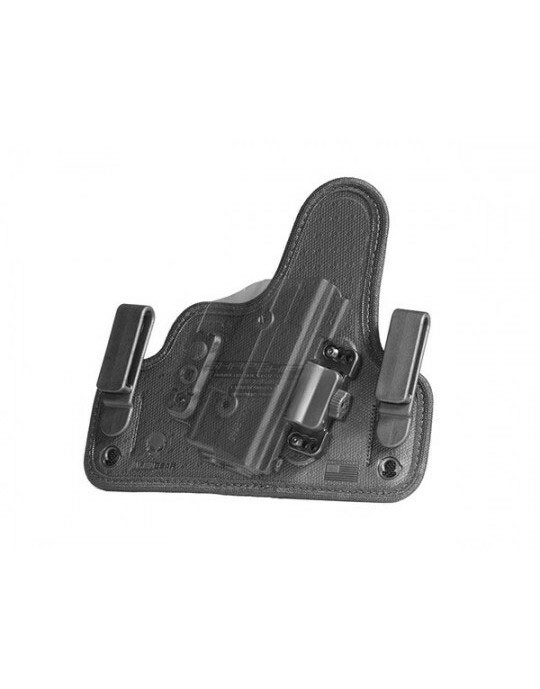 Or, if you prefer, install the thumb-release and enjoy a Glock 32 retention holster with Level II retention. 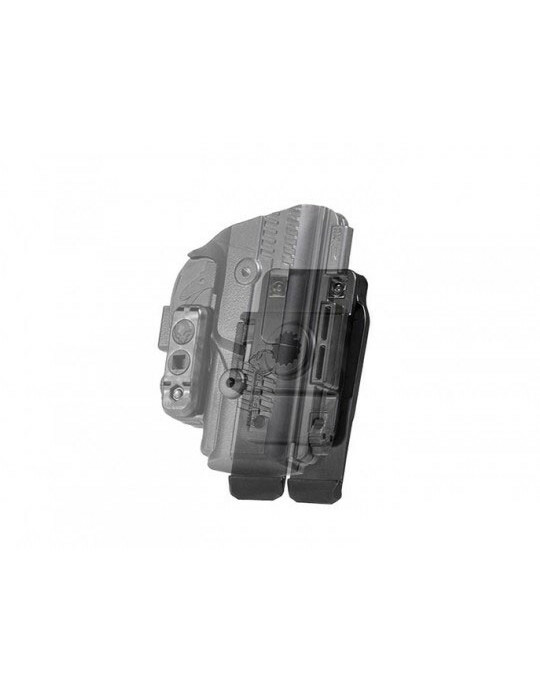 You can also change the belt attachment, as the ShapeShift Glock 32 paddle holster can be converted to a belt slide by removing the paddle and installing the belt slide attachment. 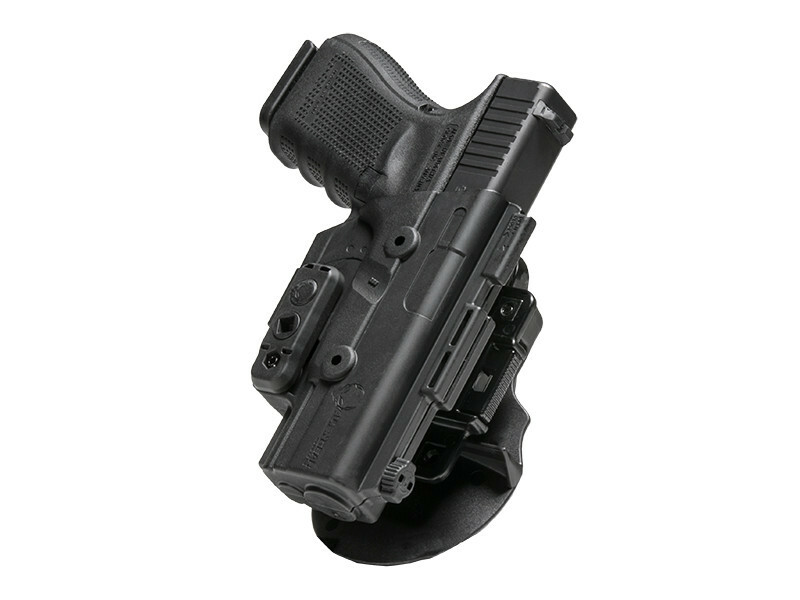 The ShapeShift is also compatible with our Cloak Dock holster mount, which lets you dock the holster on any surface you can attach the holster mount to. A 30-Day Test Drive. 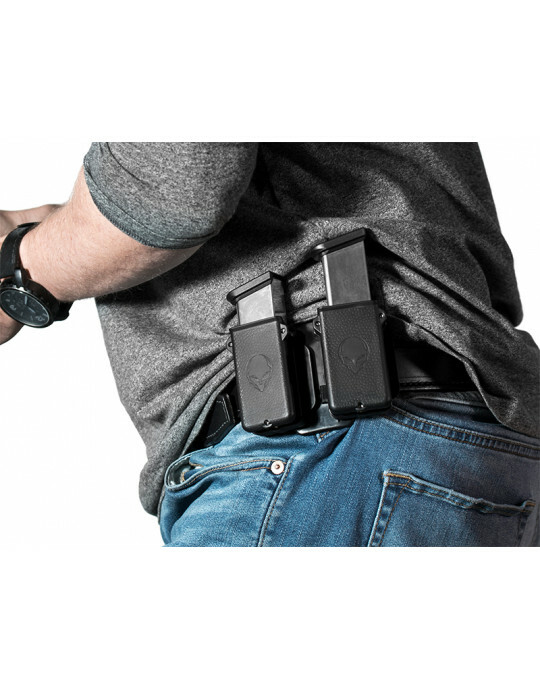 This trial period gives you the ability to return your holster for a refund if you are at all unsatisfied or unconvinced by the holster during the first month of ownership. If, for whatever reason, you aren't happy with the holster we will buy it back during the first 30 days you have it. We also fully warranty the holster for life. Anything that goes wrong, however it happens, will be fixed or we will send you a new one as long as you own it.